The Ghost, a novel I completed in 2015. It’s published by Matador and is available online here. An idea – of an adult character being ‘haunted’ by a terrible choice he made as a child. I am absolutely a conceptual writer. I get excited by ideas, metaphors, extrapolations, recurring themes. The theme existed at the beginning, and I planned the story around it. Other ideas and related themes emerged as I wrote, but I was always careful to use the ‘Book Architecture’ structural method – constructing a narrative around several recurring motifs/themes, rather than applying the standard act 1/2/3 template. Absolutely. I change my approach depending on the stage of the work. At first, I’m a planner – I like to construct the skeleton of the story: all the characterization, pulls and pinches, themes and teases. Then, I flesh it all out in the first draft. I will often change things based on ideas that emerge as I write, but I have to have that infrastructure in place to keep me honest – and to make sure I’m sticking to the central theme. A book can only be ‘about’ one thing. I think you can have genre fiction that’s also literary. (People like Cormac McCarthy come to mind.) I suppose ‘literary’ implies a deeper sense of the medium beyond just the pure storytelling. That might manifest as structural experimentation, ‘difficult’ subject matter, stylistic flair… For me, it’s mostly a style thing, but I want people to read my writing and enjoy it on three main levels – the compulsion of the story, the psychology of the characters, and the poetry of the style. I want the reader to feel it – absolutely. I want to move them, to have them connect with the story, the themes, the characters. It’s that classic writerly advice – ‘make me care!’ The Ghost follows the main character along two timelines: his life as a young boy in the mid-1970s, and his present-day adult world. The contemporary version isn’t particularly likeable, but I want the reader to care about what happens to him, given that they’ve seen how the violence and cruelty in his childhood has shaped his behavior and outlook. And, while they’re busy caring, I want them to revel in the language choices and the unfolding story/revelations along both timelines. Both! Haha. It depends on the story I want to tell. I have notes and ideas for books that would probably work better as straight-up crime/thriller/horror. But I also want to write YA stories, sci-fi, one-off stories of contemporary fiction… As I’ve said, I think you can follow that ‘literary’ sensibility as I defined it up in (5), whatever you’re writing. I like to think of it as a literary thriller, in that there’s a standard ‘man has a dangerous problem, how does he tackle it?’ story barreling along, but there are also plenty of other levels for an attuned reader to enjoy (style, themes, broader philosophical ideas etc). I hope not. Writing/publishing is becoming more and more democratized in the digital era. I’d like to think that the same is true for reading. There are more opportunities for readers to take risk-free punts on books that they might have previously considered too ‘difficult’. Now top-down media is in decline, I would hope the broader strength of peer recommendation/social media will lead to a more omnivorous attitude to culture in general. Yes. Now that the power has shifted away from the agents/publishers/advertisers and over to the readers/reviewers, the main challenge isn’t access; it’s getting your voice heard. Comment: Questions or observations for Andrew Lowe can be left in the comments section below. 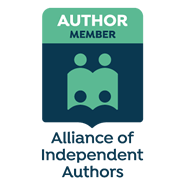 If you’re an author who wishes to join the ranks of other writers of literary fiction who have participated in the LitFic survey, click here. Andrew Lowe is an author and editor from the North of England, currently exiled in London. His writing has been published in several magazines and newspapers, including The Guardian, The Sunday Times and Men’s Health, and he has worked in creative and digital roles with GQ, Vogue, Wired and Total Film. Andrew writes psychological thrillers – novels and short stories. When not working on his own words, he is a firm but friendly editor with over twenty years’ experience in working with copy – as writer, rewriter, commissioning editor and editor. He prefers to work with fiction, and he has edited several genres including fantasy, thriller, western, and contemporary women’s fiction. He also specializes in copy editing, but also offers developmental work and copywriting (promo text, blurbs, taglines, websites). “structural experimentation, ‘difficult’ subject matter, stylistic flair” as a description of where ‘literary’ comes into the picture. It is care in every aspect, depth in every area, that makes it worth the time. And makes me read again. The writer cares about the reader, and the guide lights are there at the right spacing. Too much writing grabs the first idea, but the style of a good writer is to give you the best idea. “The theme existed at the beginning, and I planned the story around it.” A man after my own heart. A good story usually has many themes, but there’s something that makes a writer stick to a story and finish it. Not all themes can carry a story; but if one can, it serves as a touchstone every step of the way from beginning to end, as everything else swirls around. “make me care” – the guiding of the reader’s emotions to the desired outcome – is a writer’s job. I remember a recent book, which a blogger was complaining was ‘gorgeously written but not getting the attention’ it deserved. I bought it on her recommendation. I cared about the writer’s character. And then the writer kept slapping me in the face with revelation after revelation of why the character deserved what she got – ‘gorgeously written’ was not enough to compensate. So make me care, but don’t then dump me. An interview – and author – with a solid sense of what makes some writing better than other.